Paranormal Newz is run by Lower Michigan Paranormal Society. It is a site where teams, locations, psychics, and more can send in their stories, information, upcoming investigations, radio shows, photos, etc to be posted on the page to update fans, and others alike on what is going on in the Paranormal field. We welcome all groups, paranormal, UFO's and anything weird and strange. 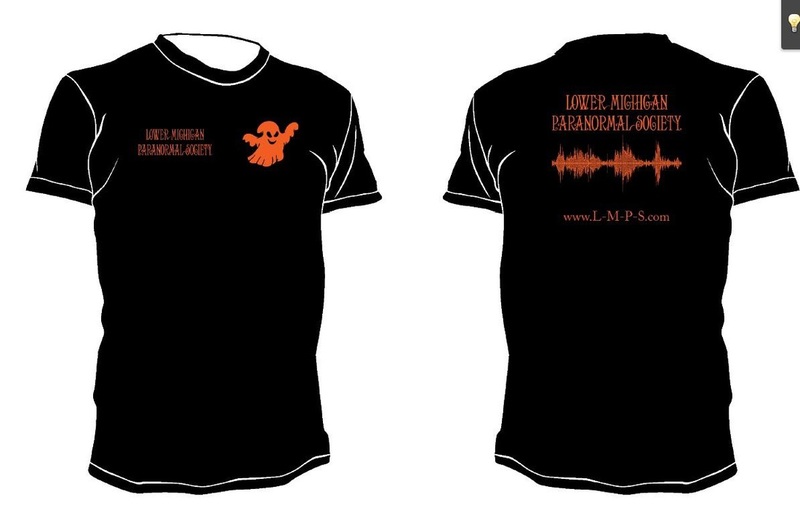 Lower Michigan Paranormal Society T-shirts. Exactly what you see in the photo to the left. Black and in sizes small-2xl. Limited amounts on some sizes. $20.00 each plus shipping, or local pickup. Please message Danielle at GhostHunterD_LMPS@yahoo.com to place an order. On October 18, 2011 Lower Michigan Paranormal Society was contacted by Shazzam the Advertising Company for Erebus Haunted Attractions in Pontiac, Mi. The Founders Keith Hembree and Danielle Armstrong went out that very day and met with the Ed Terebus owner of Erebus. They set the investigation for Saturday October 23, 2011 and the team came out with some outstanding evidence that they shared with the owner Ed about a week later. The Monday after the investigation Dave Jones from Shazzzam, the Advertising Comapny contacted Lower Michigan Paranormal Society again and asked if we wanted to have some media coverage. Keith Hembree the groups founder/Lead Investigator said if it was okay with the Ed Terebus the owner of Erebus then it would be alright to do it. 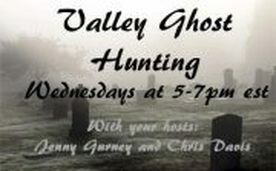 On October 27, 2011 Lower Michigan Paranormal Society was interviewed by Channel 4, WDIV News Detroit. We spoke with Paula Tutman a news anchor for the Station. The team discussed some of the equipment that was used in order to capture the evidence that was caught. On November 21, 2011 A&E My Ghost Story Contacted LMPS. about the EREBUS case. They asked would it be alright with the owner to film a segment on the location. The owner of EREBUS agreed, as did LMPS. As of June 5, 2012, filming at EREBUS for My Ghost Story has been completed. Updates will be posted as soon as we have a date for it to be aired. To view the episode of My Ghost Story, please follow the link below, and it is the first segment featured. On November 29, 2011 LMPS was invited to investigate Perry's Schuch Hotel and Bar in Saginaw, MI. by the owner Mike Perry. The investigation went great, and a snowstorm added to the effect of the night! Michigan area fans...Please be sure to stop by your local CVS Pharmacy, Kroger, K-Mart or Cottage Inn Pizza, and pick up your copy of Fear Finder Magazine! 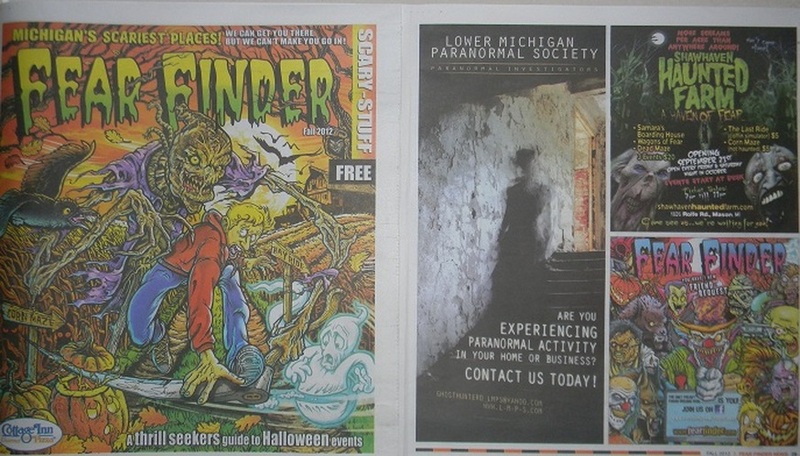 Lower Michigan Paranormal society is featured as the only paranormal group in the magazine.